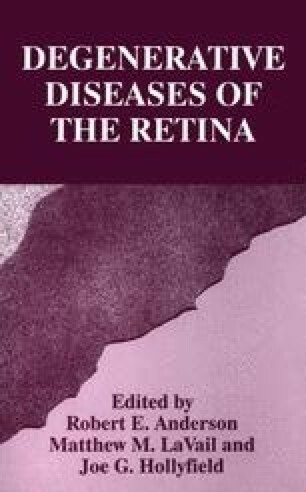 Ultrastructural features related to ageing that specifically concern the basal aspect of the retinal pigment epithelium (RPE) and underlying Bruch’ s membrane (BM), were studied in rat and rabbit. Disintegration of the regular arrangement of RPE basal infoldings, a massive increase in basal lamina-like deposits, and the presence of unusual collagen polymers are common features in both rodent species. In the rat, minor strain-specific variations exist as to the pattern and severity of particular alterations. A morphometric evaluation revealed that, in the Fischer rat, RPE hemidesmosomes are markedly decreased. Basal infoldings tend to shed which may contribute to the formation of vesicular deposits in senescent BM. Moreover, RPE cells show an increase in coated pits, lysosomes, and intermediate filaments.